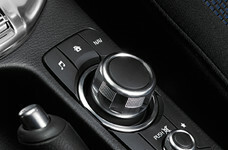 The commander knob and buttons are easy to reach and simple to use, even when you're on the road. Select to display Home screen. 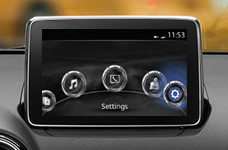 Select to display Entertainment screen. 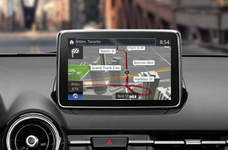 Select to display Navigation screen. Select to display Favorites screen. Long-press to store particular items as Favorites. Select to return to previous screen. 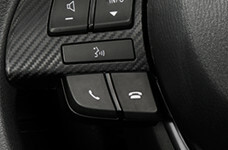 Tilt or turn the commander knob to move cursor to desired icon. Press commander knob to select icon. – Turn the VOL knob clockwise to increase volume and counterclockwise to decrease volume during phone calls, navigation guidance, voice command prompts, music, etc.